Hudson's Bay is offering a discount in their beauty department during their Beauty Savings Event. 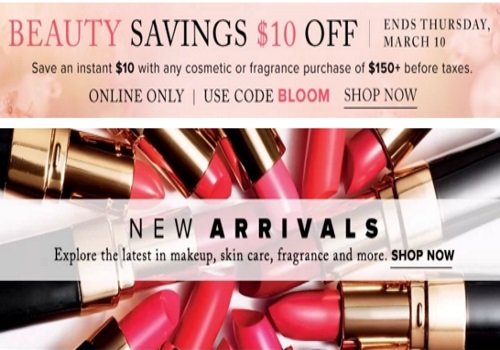 When you spend $150 or more on any cosmetics of fragrance purchase you can save $10 off! Enter the promo code BLOOM at checkout, offer valid online only. Offer ends Thursday, March 10, 2016. If you have't seen yet, Hudson's Bay is now carrying Bobbi Brown online, which is great! Love that brand!